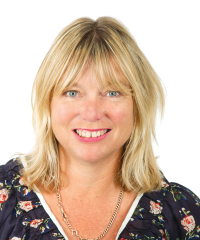 Jane has worked in Sales and Marketing her whole career, originally within the FMCG industry and laterally in the media industry as she headed up the Sales and Marketing department of ACP Media for over 14 years. She moved to Queenstown eight years ago where she and her husband have since renovated a 140 year old minerâ€™s cottage in rural Queenstown and built a holiday cabin down the Rees Valley in Glenorchy. Jane enjoys the many and varied activities available in the Lakes region including horse riding in the summer and skiing in the winter months. She has found her Bachelor of Commerce degree, majoring in Marketing and Management and her experience in the Marketing and Sales arena invaluable in her decision to sell real estate in the greater Queenstown area. Her main strengths are her enthusiasm and the enjoyment she gets from working with people â€“ ensuring they are provided with the essential information to help them make the best decisions in buying and selling property in this beautiful district.